Reprinted with permission from the publisher Houghton Mifflin Harcourt from the Coolhaus Ice Cream Book by Natasha Case and Freya Estreller with Kathleen Squires. Photography by Brian Leatart. © 2014. 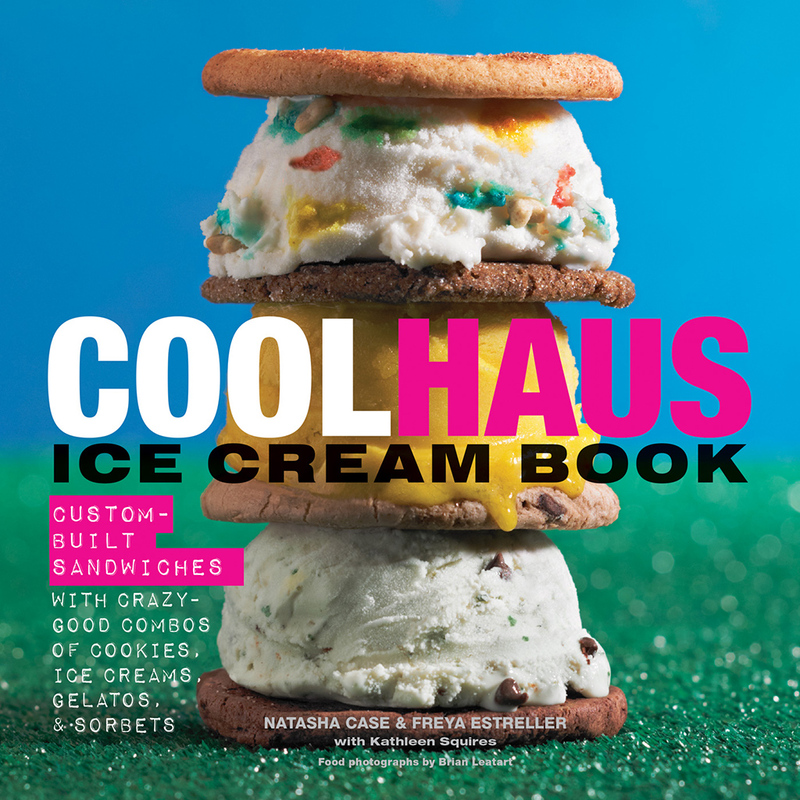 Coolhaus founders Natasha Case and Freya Estreller champion ice cream sandwiches and architecture via hip-looking food trucks, and their new cookbook, Coolhaus Ice Cream Book, released today, does an incredible job of advancing both important causes. Their fleets in Los Angeles, New York, Austin and Dallas (as well as a Cali shop), deal in colorful, oversize treats and thematic wordplay—Coolhaus, for example, splices the name of the modernist Bauhaus style of the ’20s and ’30s with that of Rem Koolhaas, a Dutch architect. The vibrant book, in bold Pop Art shades of pink, blue and green, has brilliant summer recipes and enough information on the legends of architecture to impress everyone at your next ice cream social. Here, we offer a peek inside, including a recipe for their Frank Behry concoction with snickerdoodles and strawberry ice cream, as well as a cheat sheet on Frank Gehry himself.